This is the craziest thing I’ve ever done! I planned a week’s worth of meals for under $100. 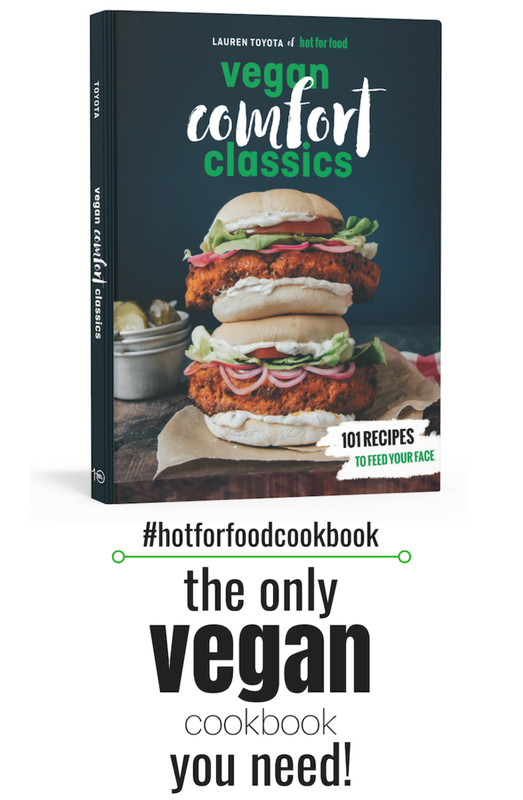 That’s 10 recipes, 21 meals, all vegan, for under $100! There’s also a lot to take in, but this is really simple so just read through this whole post before you attempt anything. I have to say, I’m super proud of this meal plan because it’s actually tasty AF! Most vegan meal plans I’ve come across are pretty lack lustre, if I’m being honest. This is a hot for food style meal plan, so it’s injected with flavor and full of comfort food fare! It was all part of the Interac $100 challenge and you can watch me shop and cook it all in the video below. here's the full list of groceries I purchased at No Frills. The total was $88.92. Of course, pricing may vary at different times because of sales etc. And don't forget, this is in Canadian dollars! Just a few notes about this meal plan. All the recipes take under 1 hour to make. This is a meal plan for 1 or 2 people. They are fairly large portions so it can easily be for 2 people, or for 1 person you’ll stretch this further than 1 week. I’ve noted in the indivudual recipes where you need to double things if you’re making food for 2 people. Also the grocery list doesn’t include a few pantry staples like cooking oil, a few spices, cornstarch, and baking powder. I figure at this point, you’ve got these on hand all the time! Obviously you can pick single recipes out of this meal plan and make them whenever you want. But if you’re really going for it and doing the whole meal plan for the week, then you’ll want to prep the lentils, jasmine rice, crispy baked tofu, and roasted kabocha squash ahead. Rinse lentils well under warm water. Place in a large saucepan and cover with water. It should be just about 1-inch above the lentils. Bring to a boil. Then lower heat, cover, and simmer until tender, about 20 minutes. Drain any excess water if there is any in the saucepan once cooked. Make in a rice cooker for best results. Water and cook time may vary. Cut brick of tofu into small 1/2-inch cubes. In a bowl toss the tofu cubes with sea salt and cornstarch until well coated. Lay out onto a parchment lined baking sheet. Bake for 25 minutes until crispy. 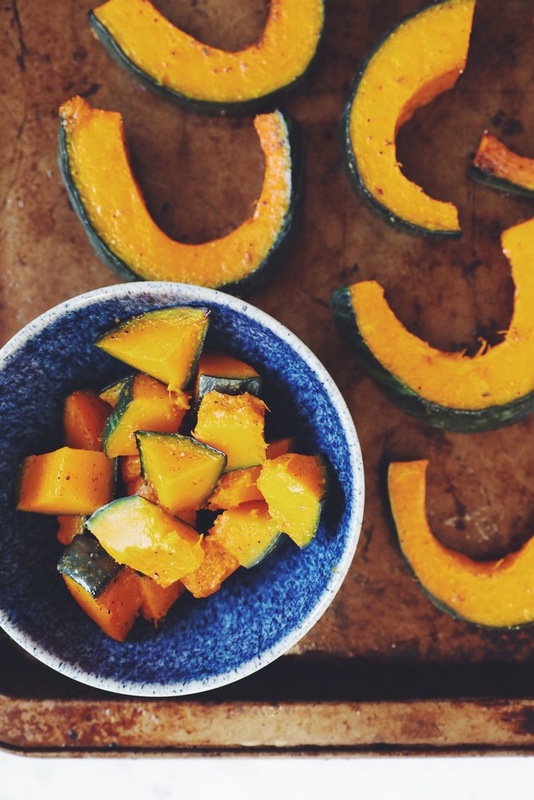 Halve the kabocha squash. You can keep the skin on. It gets very tender and is edible! Remove the inside seeds and discard. Slice into pieces and places on a large baking sheet. Coat with olive oil, sea salt, and ground pepper. Use your hands to generously coat all the pieces on both sides. Bake for 20 minutes until tender and golden brown. 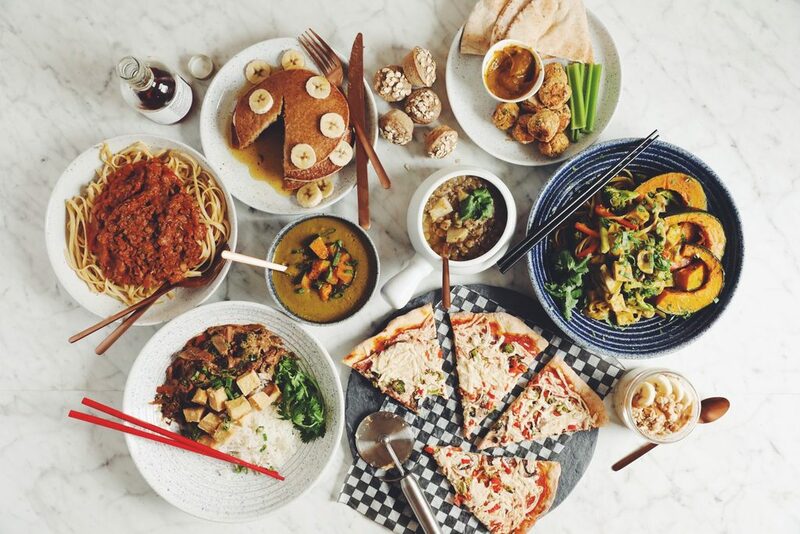 You’ll reserve 6 whole slices and 1 cup diced for the thai curry noodles & tofu dish. Another 1/2 cup diced for the dipping sauce for the chickpea fritters, and 2 cups diced for the kabocha squash soup. these are a super simple way to get everything you need for breakfast. Make them ahead and pop them in the fridge. No cooking required! Place a 1/2 cup of rolled oats in each jar. Add in 1/4 tsp cinnamon divided amongst the 3 jars and 1 tsp each of maple syrup. Add a 1/2 cup nondairy milk to each jar. Stir with a spoon or fork to combine and then place the lids on the jars. Refrigerate 24 hours or overnight. When you're ready to eat this you can do so right out of the fridge or microwave for 1 minute before eating. 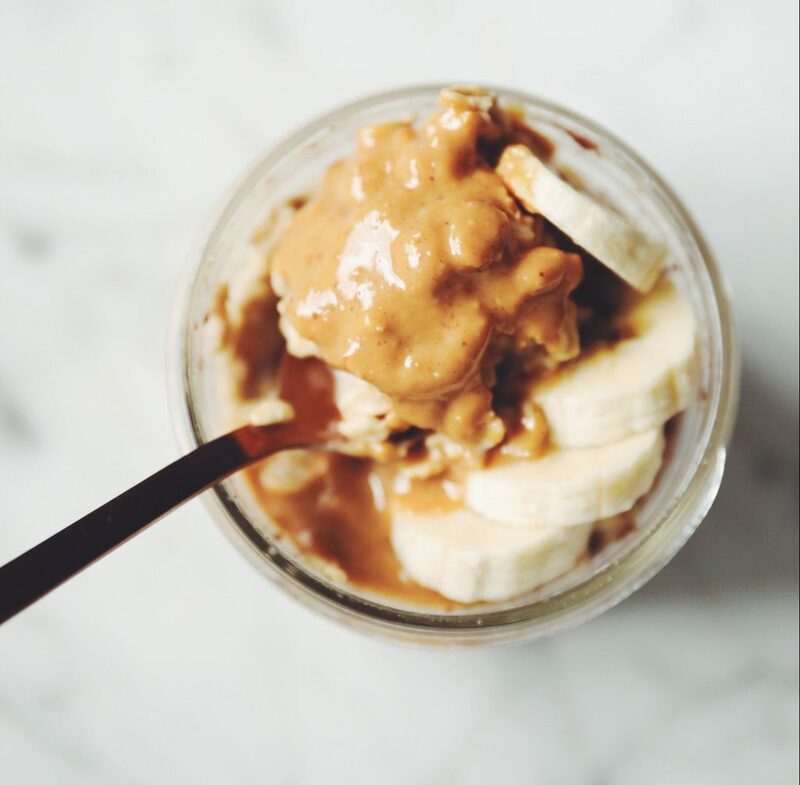 Add 1 tbsp peanut butter and some sliced banana to each jar for serving. if you're making a meal plan for 2 people for the week, then double this recipe. 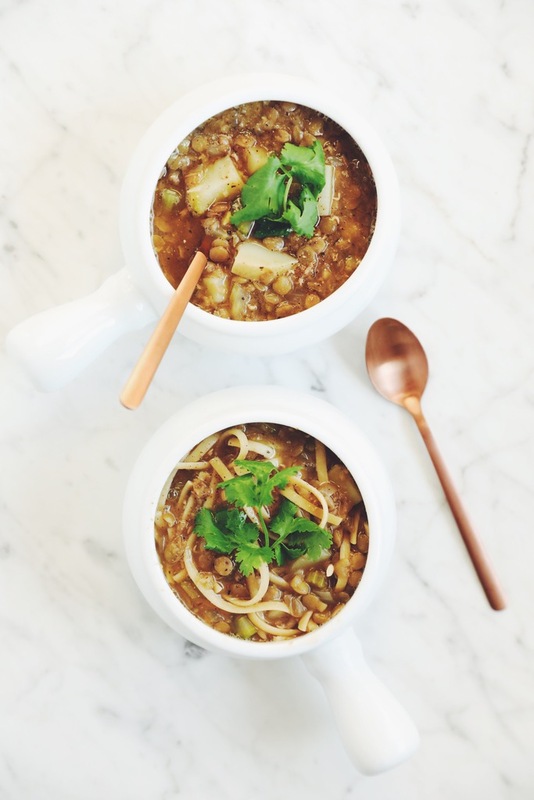 here's an easy, simple soup that's hearty and comforting with lots of lentils and potatoes! Heat a large pot over medium heat. When hot add 2 tbsp mushroom broth and onions and sauté for 2 minutes. Add celery and garlic and continue cooking for 3 minutes. If the pot starts looking dry on the bottom and things are starting to brown add another tablespoon of broth. Then add in thyme, oregano, and ground pepper and stir, cooking for another minute. Add potatoes and stir to combine. Again adding another tablespoon of broth if the pot is dry on the bottom. Cook for 3 minutes to allow potatoes to start letting out some starch while stirring. Add in lentils and all the broth. Bring to a boil, which takes about 4 minutes. Simmer uncovered for 10 more minutes or until the potatoes are tender and cooked through. Stir in lemon juice at the end. After your 2 portions in the meal plan you should have 4 cups of soup remaining. 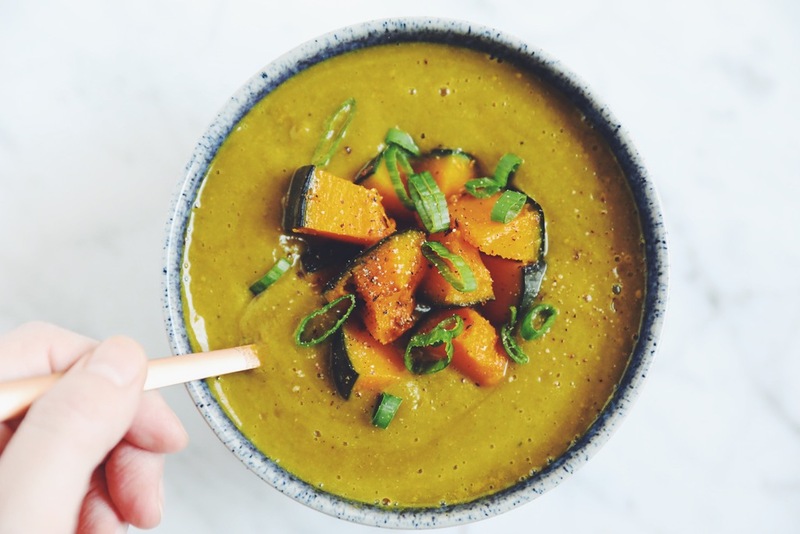 Reserve 1 cup to make the creamy kabocha squash soup and you can freeze the leftover soup for longer storage. add in 1 1/2 cups cooked linguine, reserved from the lentil bolognese recipe, for the second portion during the weekly plan. 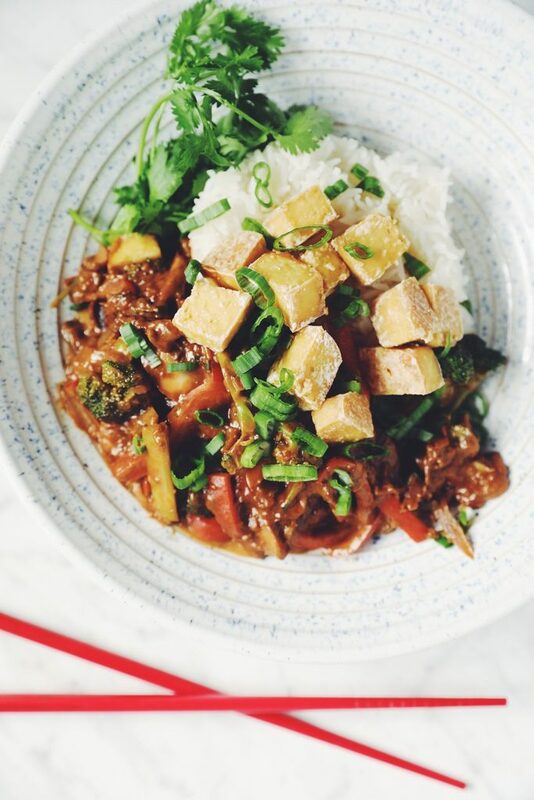 this veggie & tofu stir fry has a super flavorful sauce and it's so easy to make! Blend all the sauce ingredients in a blender and set aside. Heat a large pan over medium-high heat with vegetable oil. Add in the sliced white onion and cook for 2 minutes. Lower heat to medium and add the ginger, garlic, and white parts of the green onion and sauté for 2 more minutes. Then add mushrooms and cook down for about 3 minutes. Then turn heat back up to medium-high and add sliced peppers and broccoli. Toss occasionally while frying for another 3 minutes. Add in all the sauce and stir to combine for 1 minute with the heat turned off. Your pan should be quite hot so you can allow it to thicken and coat the veggies off the heat. Plate with cooked jasmine rice, top with the stir fry and a large handful of crispy tofu cubes. these simple mini muffins will make taking breakfast to go a breeze! Lightly spray a mini muffin pan with oil. Divide batter into all 12 cups, right to the top of the rim. 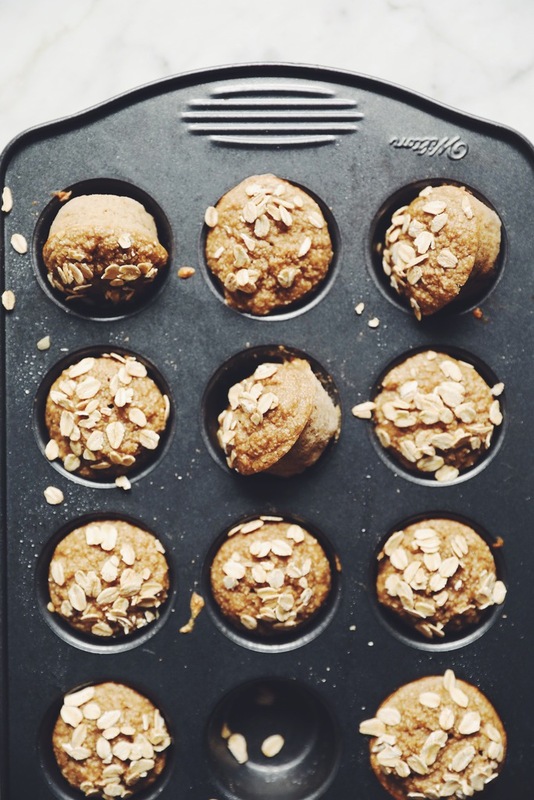 Divide the remaining 1 tablespoon of rolled oats on top of each muffin. Bake for 15 to 17 minutes or until a toothpick comes out clean from the center. when draining the chickpeas, ensure to reserve all the chickpeas for the chickpea fritter recipe, and all the brine as you will use it to make the banana oat muffins and banana pancakes! I usually drain and reserve the chickpea brine anyway because you can easily freeze it. Then you always have it ready for recipes calling for aqua faba. It's used in the hot for food cookbook to make the incredible meringue for the lemon meringue pie tarts too! 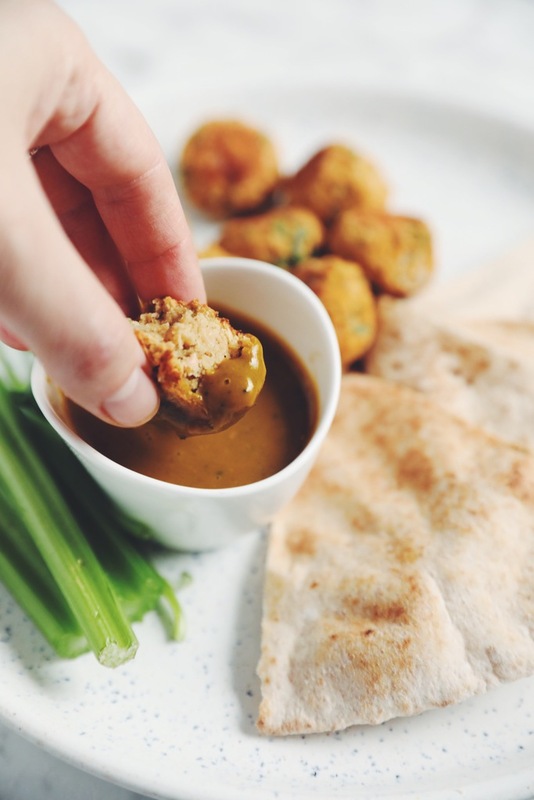 these delicious little chickpea fritters can be eaten on their own with this kabocha squash dipping sauce or you could even make them to stuff into pitas and wraps. To make the fritters, mash the chickpeas with a potato masher really well. Add remaining ingredients and stir to combine. Lightly spray a baking sheet with oil. Take 1 full tablespoon of the mixture and make a compact ball with your hands. Place on the baking sheet. Continue forming balls until you’ve used all the mixture. Spray the balls lightly with oil. Bake for 30 minutes flipping the balls halfway through bake time. To make the dipping sauce, I’ve used bits from all the grocery ingredients I bought. Add all the ingredients to a high-powered blender and blend until very smooth. Serve with pita wedges and celery sticks. When draining the can of chickpeas reserve the brine to make the banana oat muffins and pancakes! 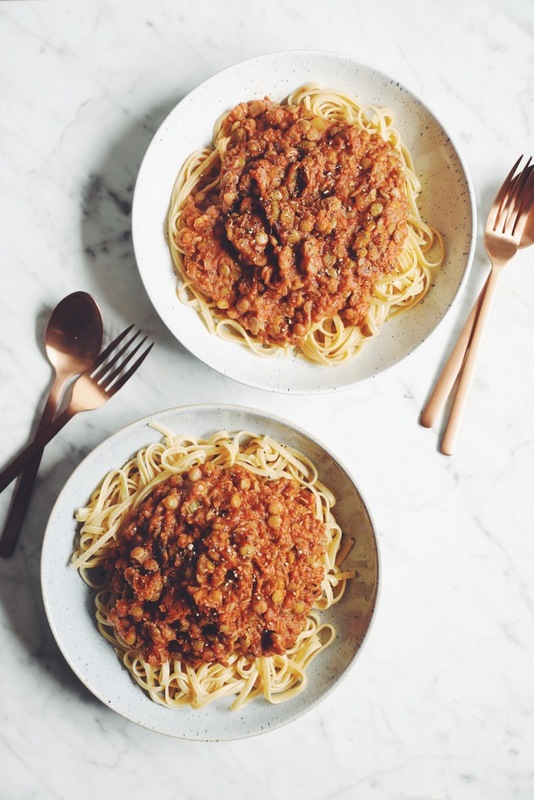 this is a hearty and healthy way to recreate meatless bolognese! Bring a large pot of salted water to a boil. Cook the linguine to al dente. Reserve a 1/2 cup pasta water (optional) and drain remaining cooking water, but do not rinse. If you're following this meal plan, remove 1 1/2 cups of cooked linguine which you can add to a portion of your lentil & potato soup. Meanwhile, heat a pan over medium heat and add olive oil. Once hot, sauté onion for 2 minutes. Then add celery, garlic, chili flakes, and oregano and sauté for another 5 minutes until the celery is quite soft and cooked down. Add in lentils, broth, and soy sauce and simmer for 3 minutes. Then add tomato sauce, stir to combine and reduce heat to low. Let it simmer on low for another 10 minutes, stirring occasionally. Toss cooked linguine in the remaining sauce over the heat and add some pasta water if you want to make it saucier or slightly thinner in consistency. This is entirely up to how you like your pasta! Combine well and serve immediately. Reheat your leftover portion for another dinner throughout the week. I actually didn't add any salt when I made this, but depending on your taste, you might want to. And you can make 250 g of linguine if you’re not going to add extra noodles to the lentil & potato soup or you're not following this exact meal plan. 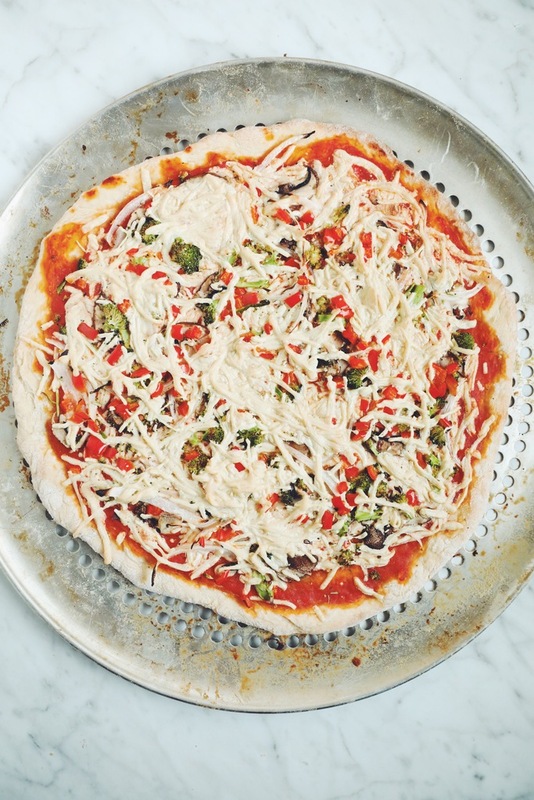 make a super easy pizza dough using beer and then top your pizza with whatever you like! In a large mixing bowl combine flour and salt. Create a well in the middle of the flour in the bowl and add vegetable oil and beer. Fold with a spatula until well combined and a sticky, elastic ball of dough is formed. Turn out onto a clean floured surface and knead up to 20 times with your hands. Flour the surface again and roll the dough out with a floured rolling pin to about 12-inches wide. Transfer to an aerated pizza pan and build the pizza by adding tomato sauce, and then mozzarella shreds. Top with the vegetables and spices and then add some more mozzarella shreds. Bake in the oven for 15 to 18 minutes or until edges are golden brown and the bottom is slightly crispy. I adapted the dough from this recipe. 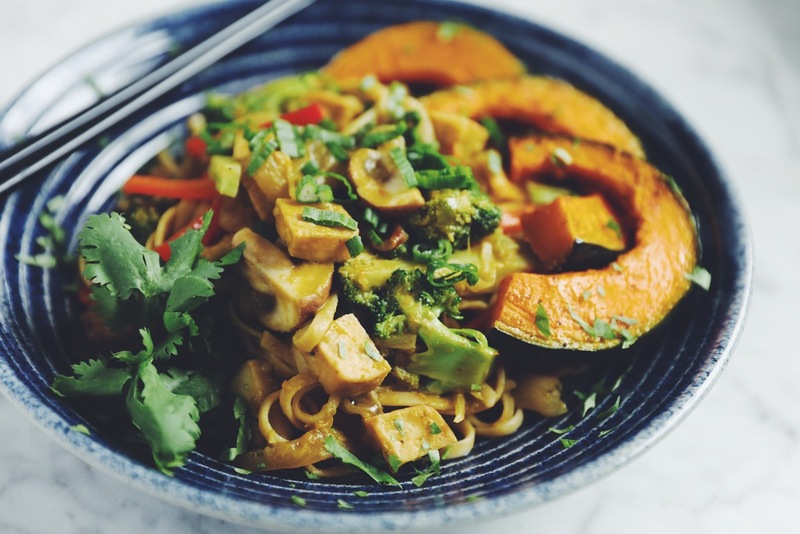 this saucy thai curry noodle dish makes a warm, comforting, and easy to throw together dinner. Bring a large pot of salted water to a boil. Cook the linguine to al dente. Drain, but do not rinse. Meanwhile add the curry, lime zest and juice, and 1 cup of cilantro to a blender and process until smooth. Heat a large pan or cast iron skillet over medium-high heat with coconut oil. Once hot add the sliced white onion and cook for 5 minutes tossing occasionally. You’re trying to get a bit of caramelization on the onions, so they should be slightly brown. Add the white parts of the green onion, ginger, and garlic and lower heat to medium. Sauté for 3 minutes. Add some mushroom broth if things are sticking to the pan and lower heat as necessary so you don’t burn the garlic. Cook another 2 minutes until the mushrooms and onions are soft and mostly cooked through. Add red pepper and broccoli and sauté for 5 minutes stirring occasionally. Mash the diced kabocha squash with a fork or potato masher. Toss it into the pan, this will help to thicken the curry. Add in all the curry you blended earlier, the remaining mushroom broth, and the crispy tofu, and toss to combine well. Lower heat, cover the pan with a lid and cook for 5 more minutes. Toss the entire curry with the linguine in the pot you cooked the pasta in. Plate with extra slices of kabocha squash and top with chopped green onions and cilantro. this soup is so simple and packed full of flavor. This is also my favorite squash ever! In a blender place 1 1/4 C of the diced kabocha squash, reserving the remaining diced cup for serving in the soup. Add the ginger, leftover lentil & potato soup, nondairy milk, tomato sauce, mushroom broth, lime juice and zest, and sea salt. Blend until very smooth. Pour into a saucepan to heat through and add in the remaining diced kabocha squash into the soup. Serve with chopped green onion on top, if desired. 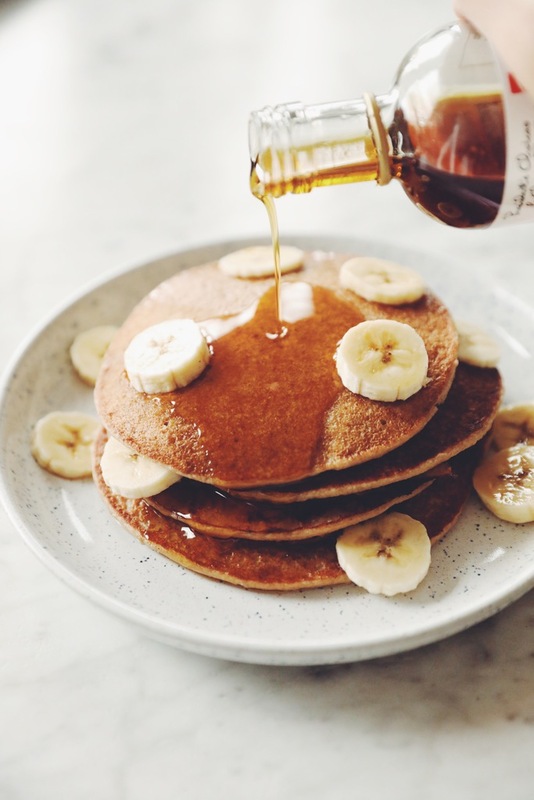 if you love pancakes, you'll love how easy these banana pancakes are! In a blender, combine the 2 bananas, rolled oats, nondairy milk, chickpea brine, and cinnamon until very smooth. Heat a nonstick pan over medium heat and add 1 tablespoon of coconut oil or vegan butter. Spread it around with a paper towel so the pan has a thin even coating of oil. Pour about a 1/2 cup of batter into the center of the pan. Let it cook on one side for 1 1/2 to 2 minutes. Only flip when the batter starts to bubble on the surface and the edges are looking a little bit cooked. Flip and cook on the other side for 1 1/2 to 2 minutes. Remove onto a wire rack to let the steam escape. Serve with sliced banana and maple syrup. That’s definitely the longest blog post I’ve ever posted! But there you have it… a tasty, epically delicious, and budget friendly vegan meal plan. Print all the recipes, the grocery list, and get preppin’. 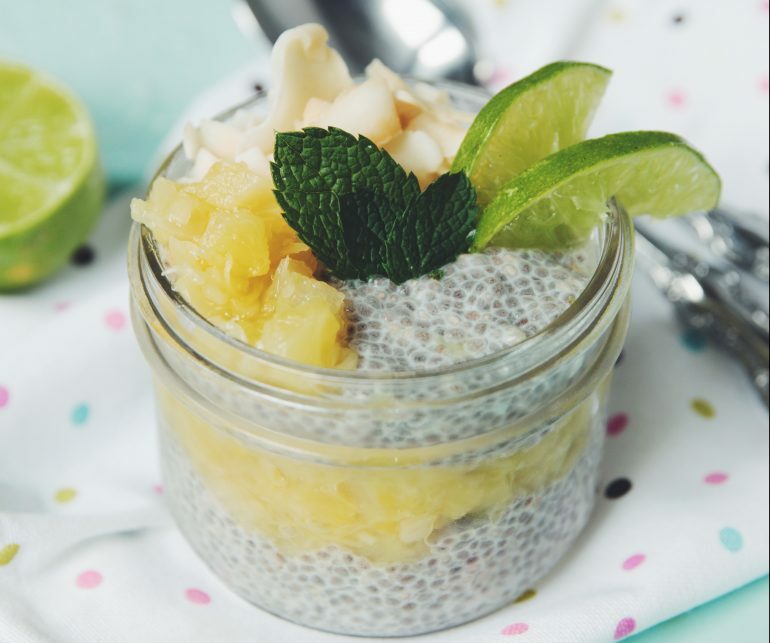 Leave a comment on what you try and love, or any other meal planning tips you have for me! Awesome recipes! Cant wait to try these out. Thank you!! how does one make this magical mushroom broth that you use every where? Thanks for so many awesome ideas! I have come across mushroom broth cubes online but have never used them. Lauren may get hers from the Asian market if I had to guess (perhaps it comes in powder form as well? Or in cartons?). I plan on using veggie broth paste since it’s what I have on hand. haha it’s in the grocery list… campbells!!! Thank you for this meal plan. It looks amazing and I cannot wait to try these recipes. I think I’ll shop on Sat. and begin on Sun. Hello, from New Mexico. I can’t wait to try these, Preparing my grocery list. Also the day your video came out, we made the lentil bolognese, yum!!! our new favorite 🙂 Keep up the good work and we can’t wait for your new cook book, see you next Wednesday!! Hi! I’m loving this grocery list/meal plan! However, I’m not seeing on the chickpea fritters why I saved aquafaba from the muffins? It says “when draining the chickpeas, ensure to reserve all the brine as you will use it to make the chickpea fritters as well as the banana pancakes on the weekend!” I’m making the chickpea fritters and don’t see aquafaba anywhere in the directions. that was an error, the bring is used in the muffins and pancakes! 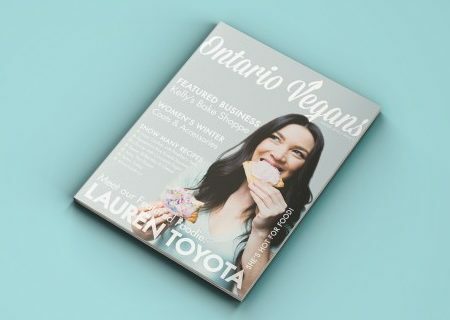 Omg this looks like the best vegan meal plan I’ve seen! can’t wait to try it !! Thanks for the awesome free meal plan! I’m sure you could, but the texture of kabocha is unique. Butternut might be the closest!